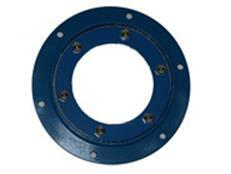 Round Observation Ports – Tate-Jones Inc. 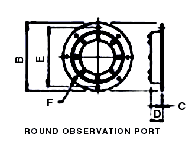 The Tate-Jones Round Observation Port provides a safe and clear method to view the interior of a vessel. – The port mounts easily to the vessel wall to protect from dust and sparks. – Four, six, and eight inch sizes are available from stock with a carbon or stainless steel housing. – Other sizes are available as special orders. 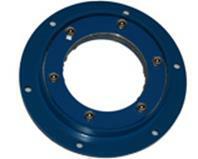 – Round obervation port can be fitted with two glass options – Pyrex or Quartz. – The operating environment and heat should be considered when ordering type of steel and glass.